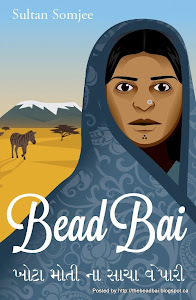 Bead Bai: Bais of the dukas in East Africa. What are their stories? Bais of the dukas in East Africa. What are their stories? Bais of the dukas on the East African coast. They could be Khoja Ismaili, Khoja Ithna Asheri, Memon, Bhadala of the sailor community, or minority Sindhi. Top picture: Bai is embroidering while looking after the shop and waiting for customers. Notice the meticulous display of glassware that is arranged every morning on the veranda and removed every evening. Bottom picture: Some bais made bhajias in the evenings to supplement family income. Notice few onions, garlic cloves, ginger and tomatoes on the baraza kept ready for customers for the evening meal. See the curious children looking at me, the photographer and writer. Blow up to view interesting details. The two photos of the women shop keepers, woke me with a jolt, in that I did not include these brave women in the Dukawala work. Am seriously thinking of appending a small tribute , for which may I please use your two shop pics?